May Designs — Pretty. Simple. If you’ve followed me here for any length of time, you’ll know I’m very picky about the paper I write on. But Lisa,you’re a blogger? Yes, I am. But I also write a great deal offline in various sundry notebooks, as well as keep a paper planner. May Designs sent me a sample knowing I couldn’t resist the allure of pretty notebooks and quality paper. Mica May started May Designs because she was tired of ugly notebooks. I just want to tell her “We all are, girl. We all are.” As a self-proclaimed font freak with a Pantone crush, she knew what she had to do. About a year after college, she launched a boutique graphic design firm. 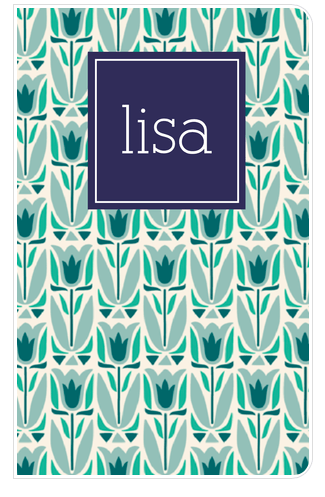 Clients of her design firm took notice of the stylish notebooks she always carried and May Designs was born. 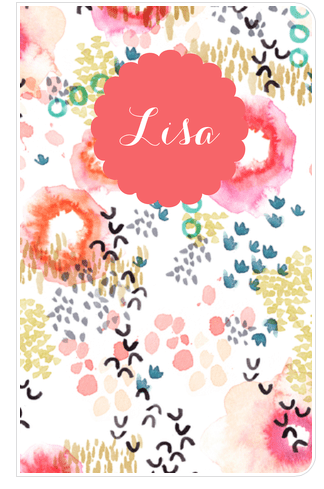 Don’t you love these new Watercolor designs below? If you want to personalize cards, notebooks, stationary, or gift cards with Mica’s gorgeous designs, you’ll find the most difficult part of the process is selecting from the gorgeous designs. I’ve created a few to share here, but again, the true test of the product is to have it in your hands. May Designs uses top quality paper that is going to work with any pen or pencil in your arsenal. Disclosure: I was sent a notebook from May Designs some months ago. That one has been filled to the brim and I’ve bought quite a few more since that time and see many more in my future. Over at Houzz this month, I’m chasing away the winter blahs and looking to add a pop of color my decor, while staying on a budget. Never an easy task. By focusing on colors I love, and am crushing on, I’ve found items for every room that will add that little something that pulls things together and perks me up as I wait for spring. Kitchen designs, bathroom designs, and more ∨Use the help of top home decorators to select matching nightstands and new lamp shades for your own bedroom design.